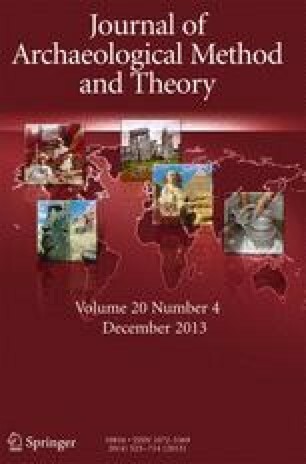 This review aims to expose the potential of formal network methods for archaeology by tracing the origins of the academic traditions, network models, and techniques that have been most influential to archaeologists. A brief discussion of graph theoretic applications in archaeology reveals how graph visualization and analysis was used since the 1960s in a very similar way to later network analysis applications, but did not seem to have influenced the more widespread adoption of network techniques over the past decade. These recent archaeological applications have been strongly influenced by two academic traditions, social network analysis and sociophysics. The most influential and promising techniques and models adopted from these traditions are critically discussed. This review reveals some general trends which are considered to be the result of two critical issues that will need to be addressed in future archaeological network analysis: (1) a general unawareness of the historicity and diversity of formal network methods both within and outside the archaeological discipline has resulted in a very limited methodological scope; (2) the adoption or development of network methods has very rarely been driven by specific archaeological research questions and is dominated by a few popular models and techniques, which has in some cases resulted in a routinized explanatory process. This review illustrates, however, the great potential of formal network methods for archaeology and argues that, if this potential is to be applied in a critical way, a broad multidisciplinary scope is necessary and specific archaeological research contexts should dominate applications. I would like to thank Leif Isaksen, Claire Lemercier, Barbara Mills, Johannes Preiser-Kapeller, Iza Romanowska, John Terrell, and three anonymous reviewers for the many helpful comments on earlier versions of the text; members of the Networks Network Google Group for discussing many of the issues raised in this article; Simon Keay, Graeme Earl and Jeroen Poblome for developing original archaeological applications with me; and special thanks to Fiona Coward and Anna Collar for our collaborative efforts in trying to bring together the growing community of archaeologists interested in networks. Isaksen, L. (2008). The application of network analysis to ancient transport geography: a case study of Roman Baetica. Digital Medievalist 4. Retrieved 19 March 2012 from http://www.digitalmedievalist.org/journal/4/isaksen/. Accessed 16 April 2012. Shalizi, C. (2011). Power law distributions, 1/f noise, long-memory time series. Retrieved from http://cscs.umich.edu/~crshalizi/notebooks/power-laws.html. Accessed 16 April 2012. Wilensky, U. (1999). NetLogo. Center for Connected Learning and Computer-Based Modeling, Northwestern University, Evanston, IL. http://ccl.northwestern.edu/netlogo/. Accessed 16 April 2012. Wilensky, U. (2005). NetLogo preferential attachment model. Center for Connected Learning and Computer-Based Modeling, Northwestern University, Evanston, IL. http://ccl.northwestern.edu/netlogo/models/PreferentialAttachment. Accessed 16 April 2012.